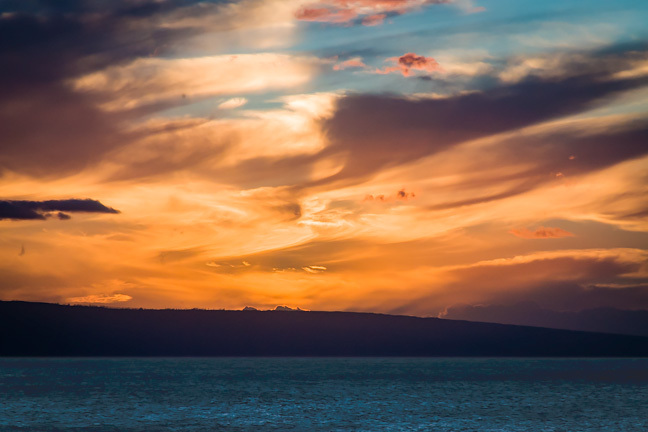 Maui is nicknamed "The Valley Isle" in recognition of its central valley that connects the West Maui Mountains to Haleakala. The latter is a 10,000-foot dormant volcano that rises above the tree line displaying the remains of centuries of volcanic activity. 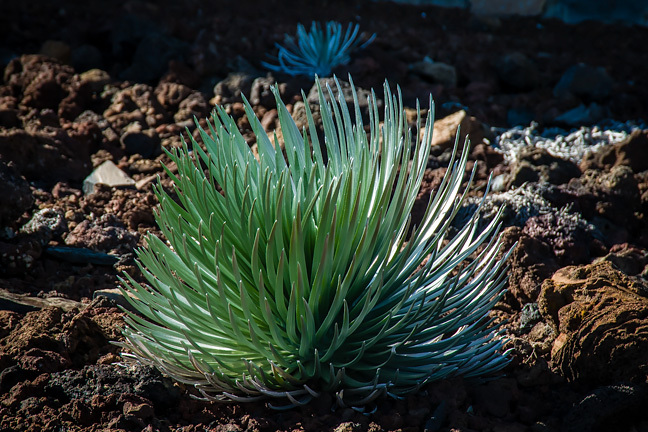 Little grows here except the dramatic Silversword, a species threatened with extinction but now protected by the U.S. government. By the way, the views up here are incredible. The West Maui Mountains, also known to Hawaiians as Maui Komohana and to geologists as Mauna Kahalawai, is a much older extinct volcano. It captures the moist trade winds forcing them to higher elevations at which they cool and force the moisture to condense and fall to the earth as rain. Over thousands of years this cycle has eroded the volcano to a much more modest summit at 5,788 feet. 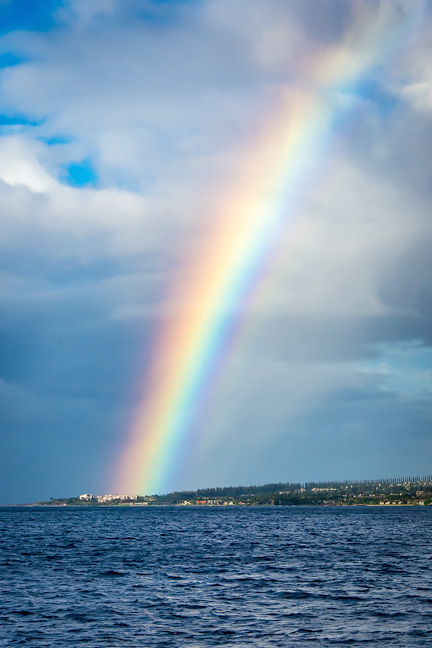 Also, the rains frequently carry as far as the shoreline where they combine with the sun to produce myriad gorgeous rainbows AKA anuenue (ah-nooeh-nooeh) in Hawaiian. The tropical sun also produces an abundance of flowers. 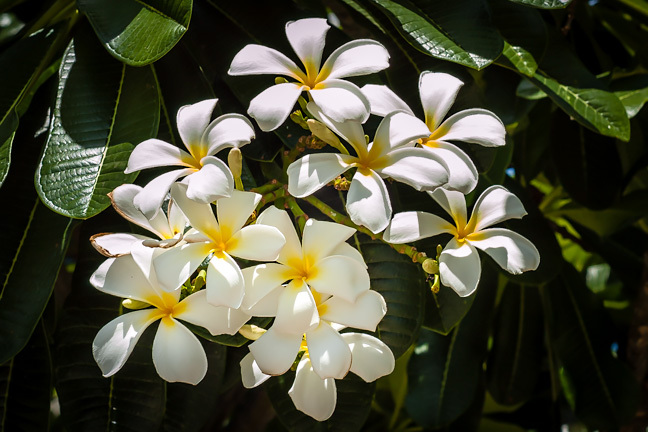 Plumeria is one of our best known — used for leis and pinned behind the ear (right means you are available and left means you are spoken for) because they are long-lasting and very fragrant. 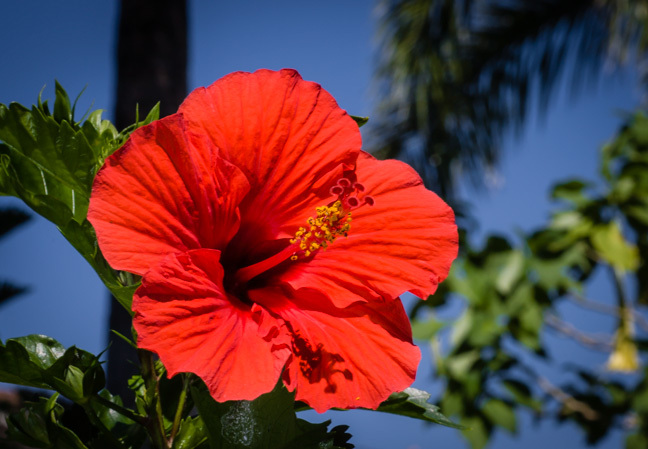 The dramatic Hibiscus is the Hawai‘i state flower and grows on Maui in profusion. This photo shows a striking Red Hibiscus, the plant used as a 10-foot tall hedge on Office Road leading uphill at Kapalua. Climbing the lower slopes of Haleakala takes you to Upcountry Maui, home of ranches, cowboys, farms Eucalyptus and soaring views. 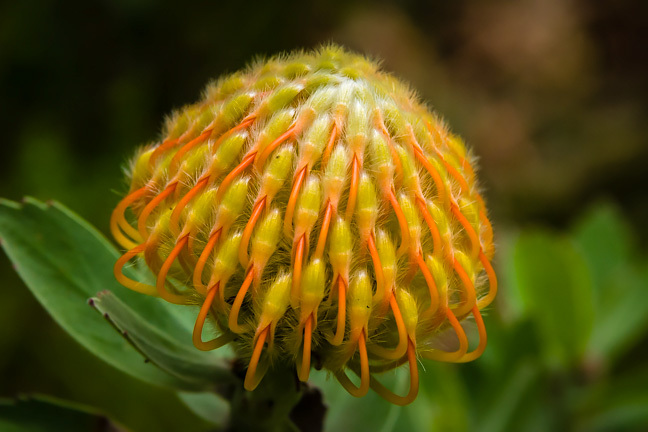 It is also home to Protea, named after the Greek god Proteus, who could change his shape at will. The flower comes in a huge variety of shapes and sizes — many looking like they belong in a science fiction movie — but we love them. Not to be outdone by the beautiful flowers, Maui sunsets draw us outside to watch the sun dip behind my home island of Lana‘i or into the ocean. Remember to watch for the green flair as the last bit of sun disappears into the distant horizon. As you can easily see, there is no shortage of inspiration here for the musical artist.